What are the recent trends seen in IP rights protection in Europe and globally? Do you observe them in Ukraine? What are the consequences for clients located here? Anna Kravchuk: As regards trademarks, there is a global tendency towards the protection of non-traditional trademarks. Manufacturers are increasingly often finding new ways to stand out against their competitors. Unusual trademarks include sound, smell, tridimensional, positional, color marks, etc. The practice of the protection of such marks is becoming more and more extensive around the world. For example, Adidas has actively protected its rights to the characteristic parallel “three strips” on its sports footwear, the so-called positional mark, for many years. The Court of Justice of the European Union recently confirmed the right of Adidas to protect the positional mark, even where a competitor intends to apply two stripes instead of three on its footwear. According to national legislation, only certain types of non-traditional marks can be protected as trademarks: tridimensional, color and sound. As regards a positional mark, it can be protected in Ukraine if it is registered by a foreign applicant on the grounds of registration of such trademark on the territory of the country of origin which provides protection of a positional mark. Ukrainian applicants do not have such an opportunity. And this problem can be addressed by an extension of the list of objects protected as trademarks. Viktoriia Ostapchuk: The possibility of protecting copyright on the Internet with the help of the “notice-and-takedown” mechanism has been actively used in the US, Europe and Ukraine since last year. This mechanism provides that the rightholders can demand to cease an infringement and block access to illegally posted content through the pre-trial process by notifying the owner of the website, web page and/or hosting provider. In Ukraine, this opportunity became available in 2017 after adoption of the Law On State Support of Cinematography in Ukraine. Legislators clearly limited the list of objects to which this procedure can be applied. They include audiovisual and musical works, computer software, video and phonograms, broadcasts (programs) of broadcasting organizations. However, infringements of other objects, such as photographs and texts, are no less frequent, and they should also be included on the list. Currently, the “notice-and-takedown” practice is not widespread in Ukraine, it is only beginning to gain momentum, but the procedure really helps to protect your rights through the pre-trial process, saving you time and money. foreign and Ukrainian. For example, Amazon, Prom.ua provide an opportunity for the seller to contest an infringement of its IP rights. The rightholder can send a complaint with evidence of its rights, upon consideration of which the administrator of the trade platform can remove content posted by the infringer. In addition, Amazon has the Amazon Brand Registry service, which allows you not only to enter your trademark in it, but to also track an infringer through texts or images. Only registered trademarks protected in the USA, Canada, Mexico, India, Australia, Japan, France, Germany, Italy, Spain, the United Kingdom and the EU may be entered into this register. IP rights protection is considered a highly internationalized practice area. What is cross-border IP practice? How is it possible to achieve cross-border capability for a local firm? V. O.: IP rights protection is considered to be an international practice as protection to most IP is provided after its registration in each individual territory. Taking into account the globalization of business, companies, including Ukrainian ones, seek to enter international markets, and they need protection in other countries. 2) cooperation with foreign patent attorneys. Along with the use of international systems, our company has actively developed partner relations with patent attorneys in other countries in recent years. This enables us to respond quickly and efficiently to customer requests, as well as to better orientate ourselves in the legislative and market nuances of popular countries such as the US, China, the EU. jurisdiction? What about jurisdictions like China and India that are saturated with law and IP firms? V. O.: The main criteria applied by our company in choosing a partner are, firstly, efficiency and relevance of a response to a request. Secondly, this partner should meet the “good value for money” criterion. That is, our first priority is to provide the customer with high-quality services at a reasonable price. Thirdly, we assess the reputation of a partner company — recommendations from other partners, membership in specialized associations, partner’s portfolios, we monitor information about employees, etc. In addition, we seek to establish personal contacts with all our key partners — we meet with them at conferences, get acquainted, communicate. It is very important for us to establish relations of trust with a partner similar to the relations of our company with customers. As for jurisdictions like China and India, these are interesting countries to work in, where a rapidly growing market should be taken into account. By the way, in 2017 China became the third country in the world in terms of number of international trademark applications filed, and second in terms of the number of international patent applications. Respectively, this demand for IP services generates high saturation of the market with IP firms. That is why the specifics of the work of each of them should be taken into account. Our company has already taken the path of choosing reliable and competent specialists in these countries, and we are pleased with our cooperation with them. What is the state of play with harmonization of IP legislation under Ukraine’s Association Agreement with the EU? 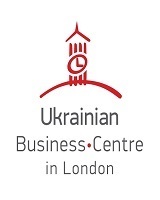 What are the consequences for business in Ukraine caused by delays in ongoing harmonization? A. K.: Harmonization and reform of Ukrainian IP legislation is slower than we would like it to be. Draft bills on the implementation of the Association Agreement with the EU have been drafted and submitted to the Verkhovna Rada, but some have not even passed the first reading stage yet. This certainly results in negative reputational consequences for our country in general. At the same time, business is moving forward, and lawyers refer directly to the provisions of the Association Agreement for their protection of IP rights of business, and the courts are guided by these provisions. In the light of ongoing reform of intellectual property rights protection, what would you single out as the main achievement as of now? What changes should be anticipated in the near future? A. K.: In our opinion, the adoption of the law on a specialized IP court is the greatest achievement of the reform in this area. And we look forward to its creation. V. O.: Besides, we, of course, expect further steps in the reform process. At the moment, we have only passed the half way line; the State Service of Intellectual Property has been liquidated and its powers have been transferred to the Ministry of Economic Development and Trade of Ukraine. Now we expect the second step of reform: the establishment of a special body in charge of IP and delegation to the body the authority to register intellectual property from the Ministry of Economic Development and Trade of Ukraine. We expect that the activities of this body will be transparent and open to the public, and the body itself will conduct dialog with the market and take into account the views of business in making decisions and development of proposals for the implementation of the state’s IP policy. What are your expectations with respect to the Specialized IP Court? How would you comment on the rules for the commercial procedure of IP litigation? A. K.: First of all, we expect judges to be experts in the field of intellectual property. We hope that the period of consideration of cases will be shorter, and the quality of decisions will also improve due to specialization. Currently, economic courts with a specialization in IP consider IP cases quite quickly. At the same time, judges are reluctant to take responsibility and draw conclusions without appointing a forensic expert examination on matters on which they can make a decision themselves. This leads to an increase in time and money spent. The adoption of new procedure codes has not improved the situation either. We constantly have a situation when parties submit their forensic expert opinions with opposite conclusions as evidence, and the judges, in turn, appoint additional expert examinations to support their decisions and to disclaim the responsibility for making such decisions. Do you face constraints and legislative gaps in the course of reform? V. O.: The main and most important gap is that initially no clear deadlines for reform were established and no roadmap for implementing such reforms was put forward. This has resulted in the situation that the reform has now been going on for almost 2 years and is still at the intermediate stage. In addition, we can see inconsistent implementation of reform. There is a Draft Decree of the Cabinet of Ministers of Ukraine on a significant increase in the fees for registration actions with intellectual property, while there is a tendency for deadlines for registration to increase. At the same time, a specialized body in charge of IP, which should openly show where these fees will be allocated, has not been established yet. Our opinion is that the amounts of fees proposed by the Draft Decree should be reviewed and justified. The designation of funds received from registration activities should be clear and understandable to make IP more efficient and a transparent sphere. What are the main challenges of IP protection for business? A. K.: Again, the main difficulties are the deadlines for registration actions. A business does not quite understand when it can receive a protection document for a particular intellectual property. It is then forced to find ways to protect itself from patent trolling, while the Verkhovna Rada has considered a draft bill that can significantly improve this situation for several years and has not adopted it yet. Again, the absence of the anticipated specialized IP court and the forced protection of IP rights in courts of general jurisdiction, which do not have judges with a special education, make our lives more difficult. What about IP disputes on the Internet? Could you dwell on the most interesting cases you have faced in your practice over the last year? A. K.: Cases on domain names are leaders among disputes on the Internet. The UDRP procedure is widely applied. UDRP (Uniform Domain Name Dispute Resolution Policy) is a non-judicial process and a policy of resolution of disputes on domain names applied to some top-level domain zones and to certain national domains. The cost of consideration of a complaint under this procedure is USD 1,500 and more. Claims under UDRP against Ukrainian domain owners in the zones covered by this procedure appear increasingly often. And we have already had several such cases in our practice. We would like to note that arbitrators are very stern in the protection of the rights of trademark owners in such disputes. It can be difficult enough for domain owners to prove their conscientiousness in the registration of a domain, even if such an owner acts on the basis of an agency agreement with the owner of the rights to the trademark. As a result, the decision is still taken in favor of the rightholder. An effective tool for tracking infringements of trademark rights on the Internet for the subsequent application of the UDRP procedure is trademark-clearing. Our clients use this tool increasingly often. IP litigation is one of the most widely discussed topics among IP practitioners, as some global disputes reach emerging markets. 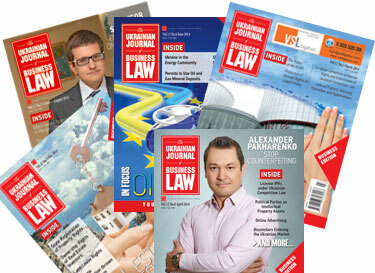 What recent cases could you single out as landmark ones for the whole litigation practice in Ukraine? 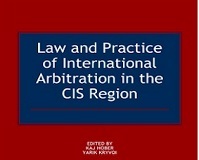 A. K.: Indeed, it is quite common in IP practice when local court cases influence world practice and establish the direction for the development of the practice in other countries. It is especially so for disputes on the Internet, as the actual absence of borders makes the online space a common platform for all countries. In addition, statutory regulations lag behind the rapid development of technology and e-commerce. One of the recent landmark cases I can mention is the decision of the Supreme Court of Canada adopted in June 2017. By its decision in the Google vs. Equustek case, the court ordered Google to exclude sites selling counterfeit products from search results around the world. As the court decision states: "The Internet has no borders — its natural habitat is global. The only way to ensure that the interlocutory injunction attained its objective was to have it apply where Google operates — globally." On the one hand, this decision can be considered to be quite justified and fair. On the other hand, this precedent can lead to abuse when any company can demand unwanted information to be excluded from search results. Only time will show how this practice develops. It is obvious at the present time that there is an urgent need for a uniform international approach to the regulation of management and protection of intellectual property on the Internet. Are there any milestone steps in your development that you plan to fulfill in the coming year? What is your strategy of brand development in Ukraine’s IP marketplace? A. K.: We plan, first and foremost, to continue developing and expanding our international work in the near future. In addition, of course, our tax practice is increasing its relevance and gaining momentum every year. This is due to the fact that the issue of taxation of IP transactions is integrally connected with the structuring of business in entering international markets. Furthermore, the close overlap between the IT and IP areas gives rise to the need for an integrated approach in shaping business models and making transactions with due regard to tax planning. When considering disputes we continue to focus on, and orient ourselves, towards pre-trial amicable settlement, and we advise our clients to do this. V. O.: As for brand development, we stick to our main strategy, namely building trust in IP. To achieve this objective, we participate actively in draft legislative work, hold training events, allocate a great deal of time on activities in specialized associations and do our best to make our area of activity transparent for clients.